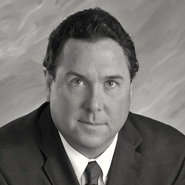 Lead counsel in the successful defense of Georgia Pacific against claims by a group of former workers whose employment was terminated when Georgia Pacific sold a sawmill to a successor company. The plaintiffs contended that Georgia Pacific violated the terms of their collective bargaining agreement by not ensuring their subsequent employment with the successor company, and filed suit under § 301 of the Labor Management Relations Act. The court found that the sale of the sawmill did not violate the CBA, as it reserved exclusively to Georgia Pacific certain rights, including the right to plan, direct, control, increase, decrease, or discontinue operations, or to move, close, sell, or liquidate it whole or in part. Accordingly, the court granted summary judgment to Georgia Pacific.